Aside from its lively beaches, Florida is known as the home of some the most distinctive architecture in the country. If you’re looking for a trip that doesn’t adhere to the typical beachside vacation, an architecture tour of Florida is the perfect solution for you and your group. With our wide selection of coaches, minibuses, and shuttles, Florida Charter Bus Company can help your group travel around the Sunshine State with little hassle and maximized convenience. The buses we charter can come with a range of amenities, including reclining seats, WiFi, PA systems, panoramic windows, overhead storage, on-board restrooms, and entertainment options such as TVs and DVDs. Whether you’re coming from a city as far as Atlanta or as near as Orlando, Florida Charter Bus Company has the perfect transportation solution for your group. When you rent a bus through us, you know you’re getting top-notch service and a driver trained to accommodate all your needs. Ready to get started? Here is our essential guide for a Florida architecture tour you will never forget! 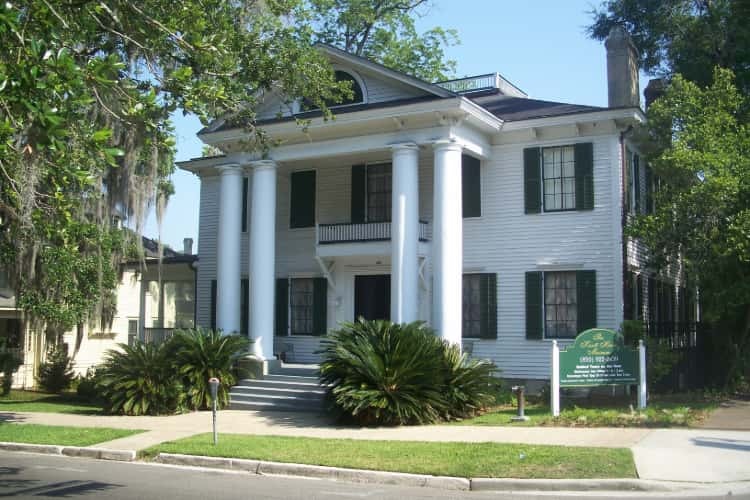 To experience Florida’s colonial heritage, head over to the Park Avenue District in Tallahassee, where historic buildings such as The Columns, the Knott House, and the David S. Walker Library will give you an introductory overview of Florida’s colonial architecture. The Columns, which is also known as the William Williams Mansion, is registered in the U.S. National Register of Historic Places and features the elaborate front pillars characteristic of American colonial architecture. Your bus will drop you off on East Park Avenue, when you will then get off your private bus and explore the area at your leisure. 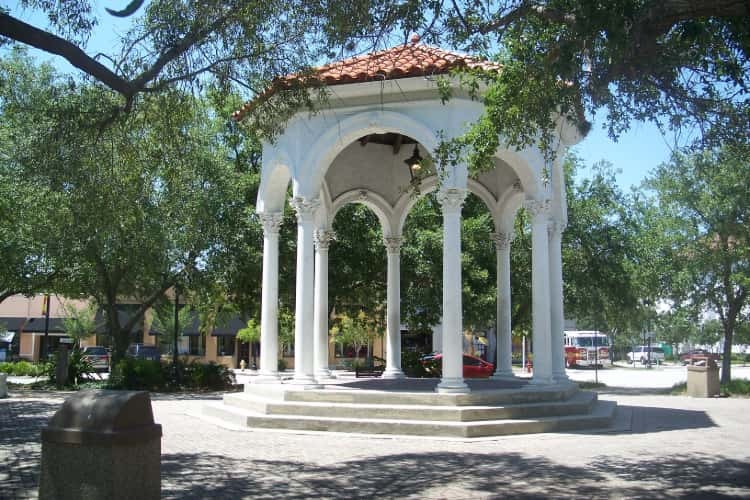 Inspired by the Piazza San Marco in Venice, Italy, the San Marco Square is located right in the crossing point of three major streets in Jacksonville: Hendricks Avenue, Atlantic Boulevard, and San Marco Boulevard. Featuring buildings of both the Mediterranean Revival and Art Deco movements, this charming little square will delight you from beginning to end. Colorful buildings and vibrant walkways will give your group plenty of opportunities for beautiful photographs. When arranging this stop with your driver, we recommend leaving enough time to explore the shops and eateries on the square. There will be something for everyone to enjoy in Jacksonville’s San Marco district, so don’t hesitate to linger. Your driver will be more than happy to accommodate lengthy stops with advanced notice. 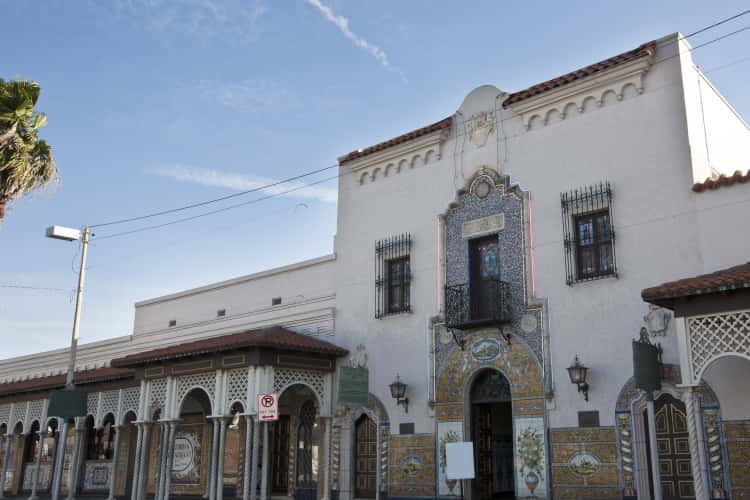 Once a commercial district for cigar manufacturers, Ybor City has become the principal hub of Spanish architecture in Tampa and is home to numerous buildings recognized in the National Register of Historic Places. Buildings like El Centro Español de Tampa, El Circulo Cubano de Tampa, and El Centro Asturiano de Tampa will give your group a little slice of Spain on American soil. Most buildings in Ybor City are built in the Mediterranean Revival and the Moorish Revival styles. If looking to see Renaissance architecture, look no further than El Centro Español de Tampa, which sports red-brick facades, cast-iron balconies, and Palladian windows. Ybor City only stretches across one square mile, but don’t subject your group to traveling across it on foot. Florida Charter Bus Company will be more than happy to arrange a hop-on, hop-off architecture tour of Ybor, making touring this city-within-a-city effortless and easy. Throughout this tour, your group will mostly explore historical architecture, but as you head down to Miami, prepare your group to see modernist and contemporary architecture in its finest form. Miami’s influence is so strong that it has jump-started an entire regional style: Miami Modern architecture, or MiMo. For those looking to tour the architecture of Florida, Miami is a must-see city that warrants a multi-day stay. Start with Faena Forum in Miami Beach, then head downtown to New World Center, which was designed by internationally-renowned architect Frank Gehry. Other buildings of interest include the Brickell City Centre and the Adrienne Arsht Center. 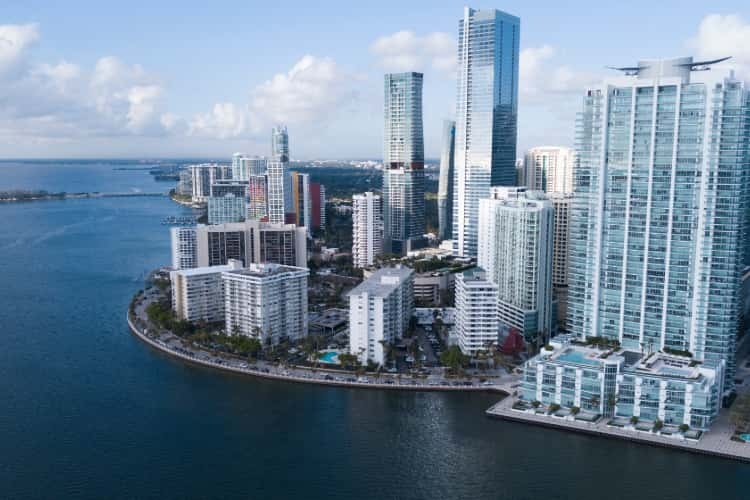 If you’d like to see uninterrupted MiMo architecture, head over to the MiMo District in Miami’s Upper East Side, where you will best experience the city’s distinctive style. Let Florida Charter Bus Company be your companion during your architecture tour of Florida. Our bus rental experts are available 24/7 to provide free quotes and to answer your questions about group travel. Call us today at 305-359-5975 to get your trip started today! We can help. Call us now 305-359-5975 to reserve yours.